Spain’s great diversity is the big idea that runs through the Prado’s latest exhibition, El trazo español en el British Museum. Dibujos del Renacimiento a Goya (or, Spanish drawings from the British Museum: Renaissance to Goya). 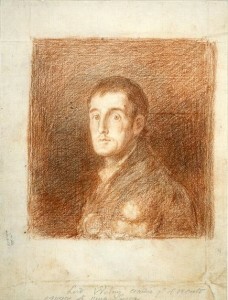 Featuring gems by artists from across the country, including Alonso Berruguete, Vicente Carducho, Murillo, Alonso Cano, Ribera and Goya, the show comprises a selection of 71 treasures from the London museum’s collection of Spanish illustrations, which have been allowed beyond the institution’s walls for the first time. “The drawings in this exhibition are the proof that Spain has always been a Spain of regions and that one cannot understand the history of the country without its strong connections to the rest of Europe,” noted British Museum director Neil MacGregor after the presentation for the show on Tuesday. Dividing into five sections, the exhibition begins with the arrival of graphic art practices in Castile between 1550 and 1560, when the styles and techniques of Italian masters were influencing the Spanish artists surrounding Philip II and his massive project to build El Escorial monastery, outside Madrid. This influence continued to be felt in Madrid throughout the 17th century in the works of the Rizi brothers, Carducho and Carreño de Miranda. But at the start of the 18th century, it would give way to the impact of the Bourbons and Enlightenment promises wafting in from France. Between one section and the next are examples of Andalusian and Valencian drawing. While warm tones and red chalk took precedence on the shores of the Turia river in Valencia between 1500 and 1700, in Seville, Granada and Córdoba demand from collectors led Murillo and Francisco de Herrera to found their school for drawing in 1660. This section includes one of the most prominent treasures in the collection: a drawing of the head of a monk attributed to Francisco de Zurbarán. Its value, however, remains uncertain as there is no record of any drawing bearing Zurbarán’s prized signature. 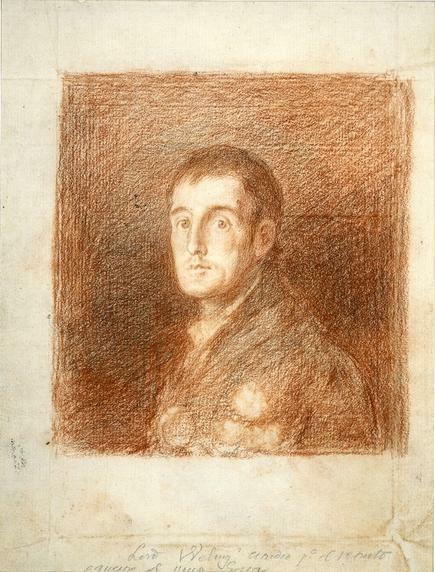 There are also two free spirits among the artists represented in the British Museum’s legendary Print Room: Ribera, with his male figures in a perpetual state of martyrdom, and Goya, in whose work the oppressed, the mad and the brutality of the Inquisition rub shoulders with a study of the first Duke of Wellington that closes the exhibition.